These BBQ Chicken Mini Meatloaves are a simple way to get dinner on the table.....and a fam favorite in our house. 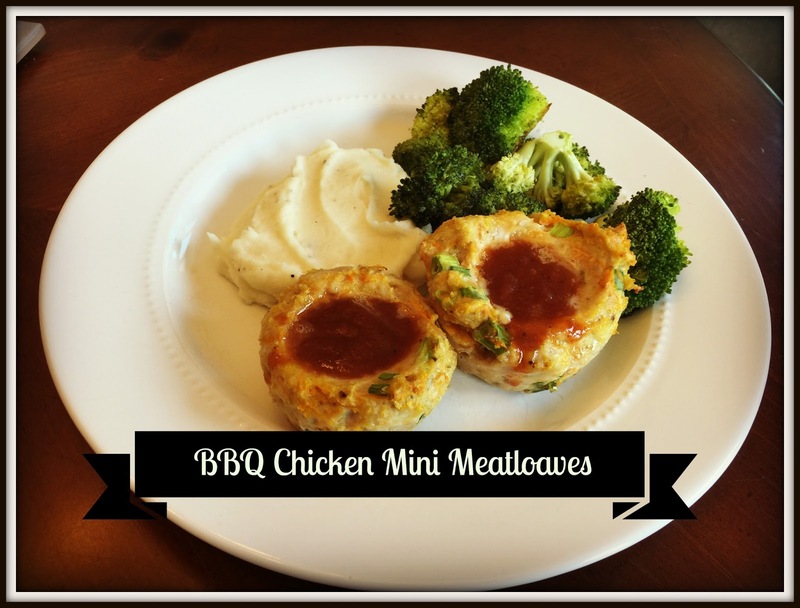 Make a double batch and they are a quick idea for lunch later in the week too! Mix all the ingredients, except the BBQ sauce in a large bowl. I use my hands to get it all mixed. Spray 8 cups of a standard muffin pan with cooking spray. Fill the 8 cups with the chicken mixture. I use a large ice cream scoop to portion it out. Using the back of a tablespoon, press down to make an indentation on each "muffin". Wet the tablespoon to prevent it from sticking to the meat mixture. Add some BBQ sauce to each top (about 2TBSP).